Debt Settlement is an alternative to bankruptcy that can help you get out of debt while saving your credit and possessions. Many Wisconsinites are experiencing the financial burden of unsecured loan and credit card debt. Increasingly many of them are turning to The Fields Group Law Firm to find relief through a process known as “Debt Settlement.” Debt Settlement is a legal process whereby our law firm represents consumer and debtor clients in debt negotiation services directly with the client’s creditors and debt collectors hired by the creditors. If you have more than $5,000.00 in unsecured debt (credit card debt, medical bill debt, or personal loans) and are having trouble keeping up with your minimum payments, Debt Settlement may be right for you. As attorneys, we typically get better creditor settlements than consumers may get on their own. The Fields Group Law Firm acts as a liaison between you and your creditors, while negotiating a settlement agreement to settle your debts for less than what you actually owe — for the smallest amount possible. Our attorneys and staff, relying on their knowledge and experience in Debt Settlement, look to forge a settlement agreement that takes into consideration your unique financial situation. We take an aggressive approach whether during direct negotiations or, as the case may be, appearing in court on your behalf to determine whether your creditors can actually prove your liability. Creditors are usually willing to settle for some amount less than what you owe if you have a financial hardship or are otherwise eligible to discharge the debt(s) in filing for bankruptcy. 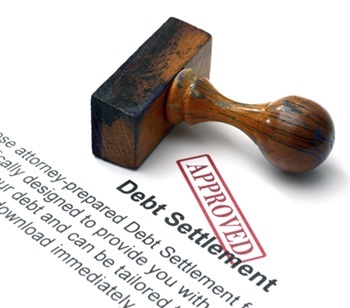 Is Debt Settlement Legal and Ethical? In short, yes and yes. Everyone benefits from the Debt Settlement process: Creditors receive a payment they would not otherwise have seen from a bankrupt debtor; Courts are less burdened with collections and bankruptcy litigation; You receive peace of mind and regain financial freedom. Another way of thinking about the Debt Settlement is that it is a process of renegotiating your contract(s) with your creditors—a process that is legal and well-established under Wisconsin law. Depending on your circumstances, Debt Settlement can be a viable and beneficial alternative to bankruptcy. Generally speaking, Debt Settlement is treated more positively on your credit score going forward compared to bankruptcy. Our attorneys will be able to advise you as to which approach to resolving your debts is likely more appropriate for you. If you are ready to obtain the debt relief you deserve and want to learn more about what Debt Settlement can do for you, contact us at (414) 763-3200 to have a no charge, obligation free phone consultation with one of our Debt Settlement consultants. Contact a Milwaukee Debt Settlement Attorney with The Fields Group Law Firm today.